Up for sale is my fibreglass fishing boat. Its a sound hull with no leaks. - Comes with nav lights, sounder, battery, life jackets, boat cover, fuel tank, extra seat and anchor. - Trailer has been completely rebuilt by Oceanic Trailers with new: submersible LED lights & loom, hubs, bearings, leaf springs, axle, wheels & tyres, winch strap, wheel guards, jockey wheel and mud flaps. Trailer tows really well. 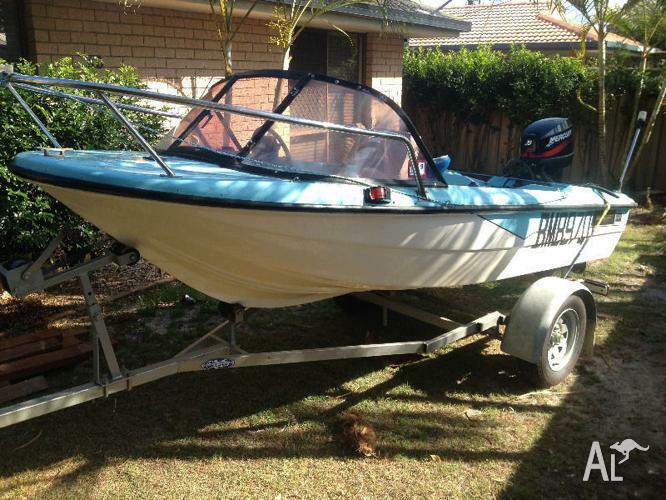 - 2004 mercury 25hp outboard runs really well, key start, with good power and very reliable.